What's the Best Game for Killing Time With Your Phone? Once upon a time, humans had to entertain themselves during the few idle minutes of waiting in line. No more! Now we have pocket computers with access to dozens of games at once. Tell us, which are you favorites? 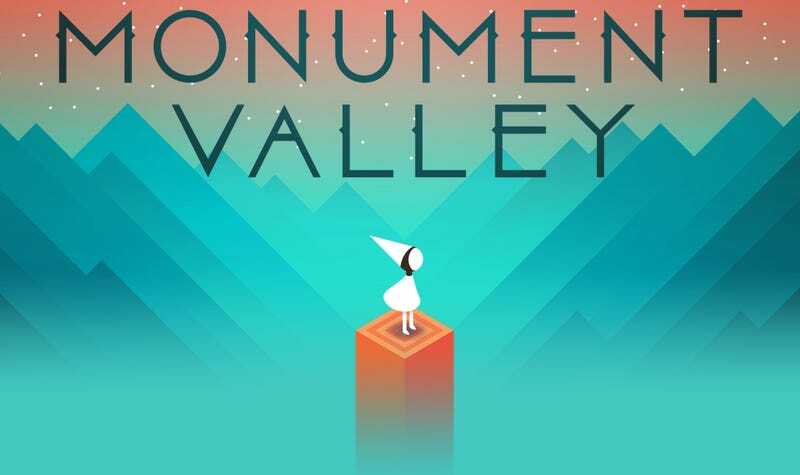 On this Valentine's Day eve, I'd like to write a brief love letter to Monument Valley, perhaps best described as an M.C. Escher-inspired album of puzzles. You are Ida exploring, your way through ancient ruins full of impossible staircases and waterfalls. The graphics are so beautiful, the music so haunting, and the puzzles so clever that it's easy to play it all in one sustained gulp. But it's also compulsively replayable. There is something immensely satisfying about the tactile experience of spinning gears and pulling levers. In idle moments, I find myself going back to fiddle with the impossible geometry of Monument Valley. Do you have a favorite game for killing time? Ideally, the game that is easy to put down and pick back up, requires minimum to moderate brain power, and—very important—has no in-app purchases.